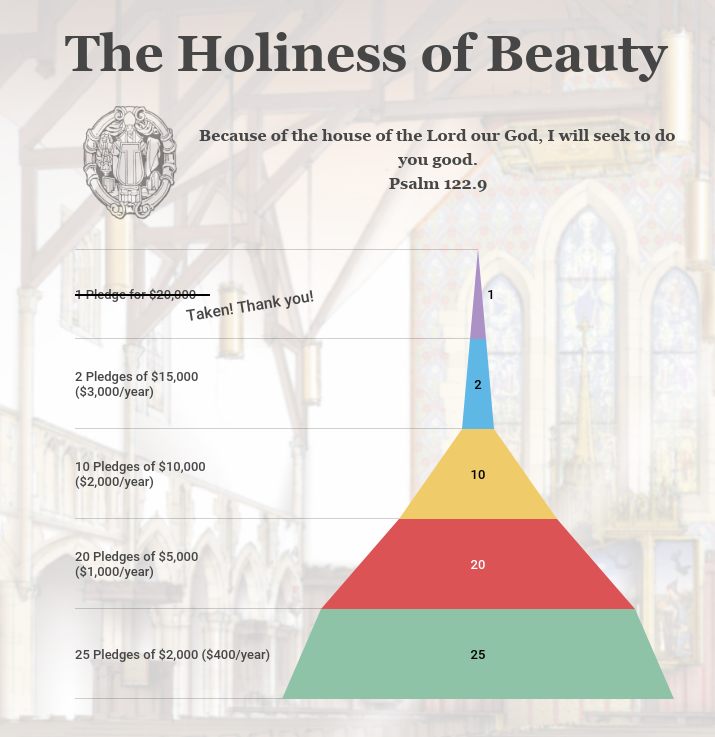 Thank you for visiting this website and discovering more about our campaign to aid the beauty of holiness with the holiness of beauty. We are accepting pledges that can be paid over a period of three to five years. You can give directly to the campaign by clicking the link above. Select CAPITAL CAMPAIGN in the dropdown menu.